Tembinkosi Bonakele, head of the Competition Commission. Cape Town – The Competition Commission told Parliament on Tuesday that its financial resources are so strained that the industry watchdog will have to revise its targets for cartel investigations downward. The commission has been occupied with a number of high-profile cases in various sectors and among other things, is bracing to do a probe on data costs. Cartel investigations which could be affected by this development include the probe into automotive component manufacturers, set top box service providers, manufacturers of edible fats and oils, as well as fresh produce and beef producers. “We have acknowledged that we would have to consider a downward adjustment of initiations for cartel investigations, having due regard for funding and resources. "Adjustments in a number of market inquiries are due for initiation and completion,” Competition Commissioner Tembinkosi Bonakele told Parliament’s portfolio committee on economic development. Bonakele told the committee that while the commission remains committed to fighting cartels wherever they emerge, it is inevitable that some cases will fall through the cracks. State capacity or more funding would be needed to address this, he added. “The commission will initiate eight new cartel investigations in 2018-19. This is a drop from the 2017-18 commitment of 25 initiations. The decline in initiations is due to resource constraints coupled by high, complex and increasing volumes of cases,” said Bonakele. He said the commission foresees that it will take longer to complete ongoing investigations, and that more demanding obligations would have to be prioritised to ensure they are concluded promptly. Bonakele told the committee that the Competition Commission aims to win more than 75% of its cases in the Competition Tribunal and courts. He said the commission is a victim of its own success in concluding successful determinations on market conduct, as this creates a backlog in court cases and tribunal matter emanating from the commission’s decisions. 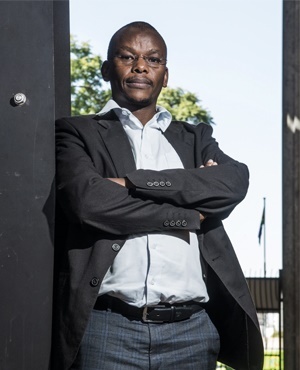 Competition Commission chief financial officer Molatlhegi Kgauwe told the committee that R279m of its R360m revenue comes from a grant allocated to the commission by the Department of Economic Development. He said R216m of this went towards human resources costs while R143m went towards operational costs. “We have provided an estimate of merger fees based on actual cases filed in 2017-18 and the newly revised filing fees. The shortfall in revenue has in the past been funded by accumulated surpluses from the previous financial years, but these surplus funds have since 2017-18 depleted,” said Kgauwe. Committee members registered their concern with the commission’s leadership, with Economic Freedom Fighters MP Nontando Nolutshungu saying the resource backlog must be addressed. Failing to give the commission capacity is akin to opening the doors of South Africa wide to plunder by big business, she said.